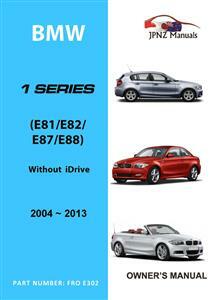 Owners handbook for the Japanese Import model BMW 1 Series 2004 to 2013. This 163 page handbook has been translated from the original Japanese handbook into English and is very professional with full illustrations. These handbooks are great to compliment your vehicle and add value for resale.